Nurie Chung has been taught by NamYun Kim at the Korea National Institute for the Gifted in Arts since 2013. He has won many international and national competitions. 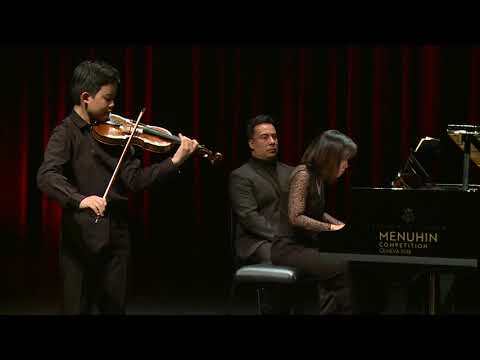 In addition to many national competition victories, he won 1st Prize of Il Piccolo Violin Magico in Italy in 2016, and won the grand prize across all categories of the 2016 Euroasia Young Violin competition in Japan.